We are now stocking the Cast Stainless Steel Door Stop-Pilaster Mounted, our part # 9A4153. 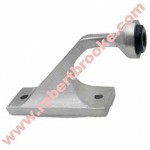 This door stop is the same as our 9A4151, but is made of heavy duty cast stainless steel instead of the die cast zamac. The base measures 1-1/4″ x 3″ and has a hole spacing of 2-5/16″ on center. The Pilaster Mounted stop projects out 2-1/2″ and off the end of the base 1-1/8″. This door stop is usually mounted on the Pilaster, on the hinge side of the door. You can use one or three if you want to make sure the door does not bend of deform. The manufacture suggests using two stops, one at the bottom and one at the top. For all of your toilet partition needs, visit our website Toilet Partitions Stalls, Toilet Partition Hardware & Restroom Accessories. 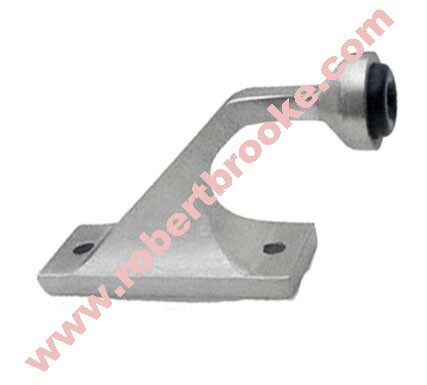 The above image is of the Cast Stainless Steel Door Stop-Pilaster Mounted Stop.